It is possible to pair up to five Bluetooth® Wireless Technology devices with the car audio system. 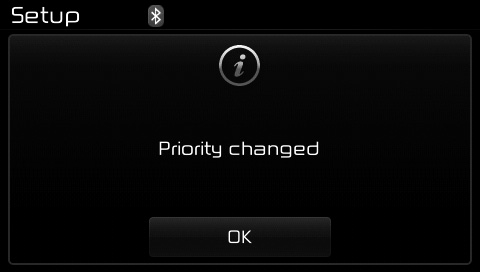 The "Change Priority" feature is used to set the connection priority of paired phones. However, the most recently connected phone will always be set as the highest priority. 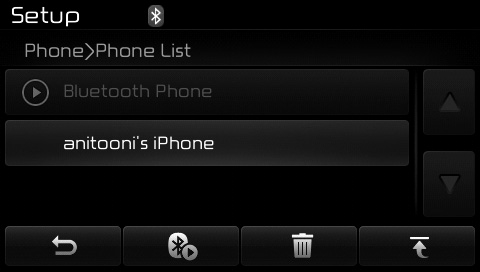 From the paired phone list, select the phone you want to switch to the highest priority, then press the button from the Menu. The selected device will be changed to the highest priority. When a device is currently connected, even if you change the priority to a different device, the currently connected phone will always be set as the highest priority.